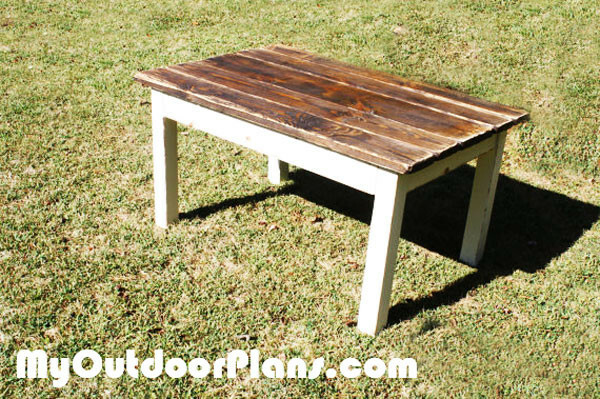 I built this small farmhouse table from some old barn wood I had from a friend. I used my pocket jig to make the joints. I didn’t add a stretcher to the bottom of the legs, as the table is sturdy enough. I stained the wood and then applied two coats of lacquer.